How Can Media Commons Help You? Media Commons projects can enhance your courses by encouraging students to look at problems and prompts in a different way. Below are several areas that multimedia projects can benefit. 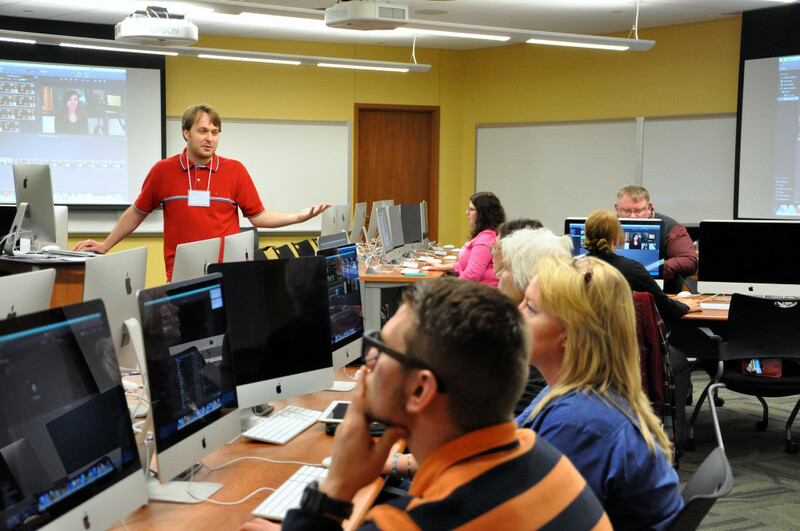 To schedule a media software training workshop for your class, fill out the Workshop Request Form. Media Commons projects teach students to approach assignments through a problem-solving lens. 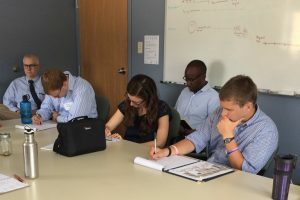 Students are presented with a challenge and then must come up with appropriate techniques to creatively express their idea. Students produce knowledge and form meaning based upon their experiences (Driscoll, 2005, p. 387). 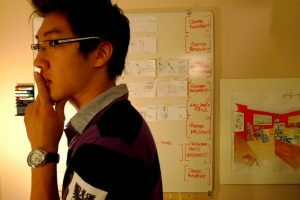 Creating a multimedia project is an example of using trial-and-error to solve problems. Students will grow their ability to systematically solve a problem in a logical way. Students gain knowledge and applicable skills by working for an extended period of time to investigate and respond to an engaging and complex question, problem, or challenge. (Krajcik, J. S., & Blumenfeld, p. 2006). This is a type of active and engaged learning in which students are inspired to obtain a deeper knowledge of the subjects they’re studying through real world activities. Students can work in small groups to complete tasks and learn from one another’s experiences. This supports knowledge building around the content of the project and multimedia production. Emphasize the learner’s own processes and construction of knowledge from information presented, focuses on how society, environment, and experiences shape knowledge (Yilmaz, 2011, p. 207). Writing for a video or a podcast challenges students to think about their content in a different way. Video can stand on its own and tell a story if it is shot well. Narration can reinforce that visual story. Similarly, a podcast needs to be presented in a creative and concise way so that listeners can easily digest the information. Writing for multimedia fosters a deeper understanding of content as students pare down information to the essential facts and think about ways to creatively present their content. Learners digest information to create their own knowledge and connect new knowledge with existing knowledge. New experiences with and self-reflection on those experiences help students learn and form new ways of thinking (Driscoll, 2005, p. 384-410). Following this teaching model, the instructor may want to include time for reflection with the assignment through either a class discussion, or a written format. The ability to extend what has been learned in one context to new contexts (Perkins, D.N. & Salomon, G., 1992). Content that students are creating may be familiar, but the unfamiliar challenge of using multimedia to convey information helps reinforce that information and build new problem-solving strategies. 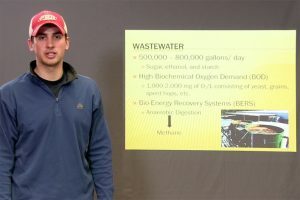 Working through the many steps of a multimedia project helps students make further connections with the course content. Media Commons projects address many different learning styles, from the auditory to the visual learner to those that learn by writing and doing. Students are encouraged to think outside of the box and make new connections between what they are learning and their own personal context. This helps them reach a higher level of thinking and application of knowledge. It also fosters the learner making connections with prior knowledge. Implicit learning is characterized as “situations in which complex information is acquired effortlessly, and the resulting knowledge is difficult to express verbally” (Bransford et al., 2006, p. 19). Cognitivists focus on theories that are learner-centered and consider what the learner already knows, how they learn, and how the information/topic is helpful for them (Yilmaz, 2011, p. 204-212). Media Commons projects can help provide context for learning. Adaptive expertise relies on innovation and efficiency, it is also greatly aided by the help of metacognition and understanding of how innovation and efficiency in the learning environment help the learner learn (Bransford, Brown, & Cocking, 1999, p. 45-48). Bransford, J. D., Barron, B., Pea, R. D., Meltzoff, A., Kuhl, P., Bell, P., & Stevens, R. (2006). The Cambridge Handbook of the Learning Sciences (p. 19-34). Bransford, J. D., Brown, A. L., & Cocking, R. R. (1999). How people learn: Brain, mind, experience, and school. National Academy Press. Driscoll, M. (2005). Psychology of learning for instruction. Pearson. National Research Council. How People Learn: Brain, Mind, Experience, and School: Expanded Edition. Washington, DC: The National Academies Press, 2000. Krajcik, J. S., & Blumenfeld, P. (2006). Project-based learning. In R. K. Sawyer (Ed. ), The Cambridge handbook of the learning sciences (p. 317–334). New York: Cambridge. Perkins, D. N., & Salomon, G. (1992). Transfer of learning. International encyclopedia of education, 6452-6457. Yilmaz, K. (2011). The Cognitive Perspective on Learning: Its Theoretical Underpinnings and Implications for Classroom Practices. The Clearing House, 84, 204-212. This section of the Media Commons site aims to give our faculty clients from across the Commonwealth a space to share their stories: where their project ideas came from, what goals they had for their students and how Media Commons helped bring it all together. 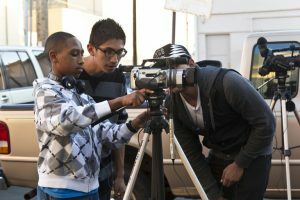 Thinking of adding a media project to your classroom? Get inspiration from Penn State faculty all across the Commonwealth. Each case study features examples of outcomes, grading rubrics and more so that you can choose elements to add to your course. Perhaps you’ve heard of Spark, Adobe’s simple-to-use, online publishing platform that allows students to create great looking web presentations with no coding necessary. It could be a great fit for sharing research-based assignments out of your classroom – learn more. 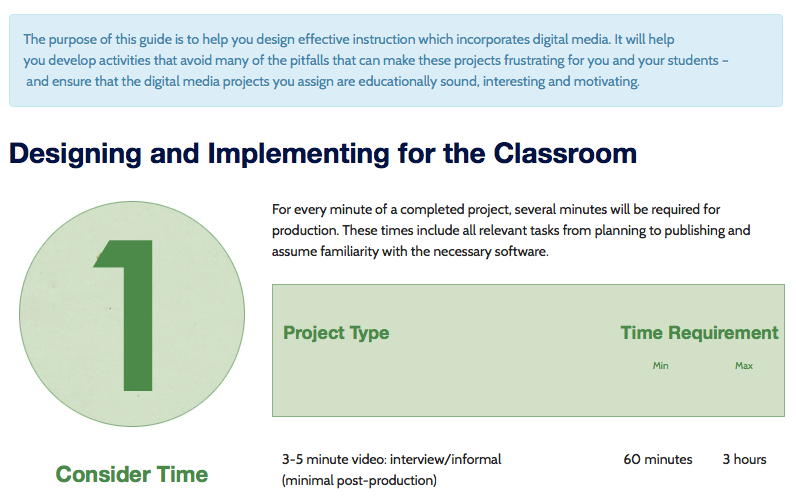 Our guide has been designed to provide tips on designing and implementing digital media projects in your classes. In it, you’ll find essentials to help ensure you have a successful experience with your students – both in and out of the classroom. Take advantage of these sample assignments, guides to course projects and more to get going with multimedia in your classroom. Need a little help with a project you’ve assigned or activity your students have embarked upon? These resources should fit the bill. Want to take part in the latest offerings from Media Commons? Find out more about our pilots, projects and programs. If you are assigning a multimedia-intensive project in your class, we can conduct an in-class workshop in our instructional computer lab to get your students up-to-speed on the required software quickly. For University Park courses, we also offer the use of our lab for classes to work on their assignments during a class period. These allow for both yourself and a Media Commons consultant to be available for students to answer any questions or give advice on the progress of their projects. Media Commons consultants and instructional designers can work with you to design assignments that are effective, engaging and work within your timeframe. We can also provide resources such as sample rubrics. Consultants will work with you one-on-one to learn the multimedia software you need for your projects. We can teach you the basics quickly so you can start immediately or spend time with you learning software in-depth. Send your students to Media Commons individually or in groups to get support at any time during the course of completing their multimedia projects. Contact Media Commons prior to sending large groups of students our way – and as early in the semester as possible. The more in advance we know, the better the assistance we can provide. If you’re all set to deploy a media project in your classroom – or just want to talk with a consultant – please get in touch.